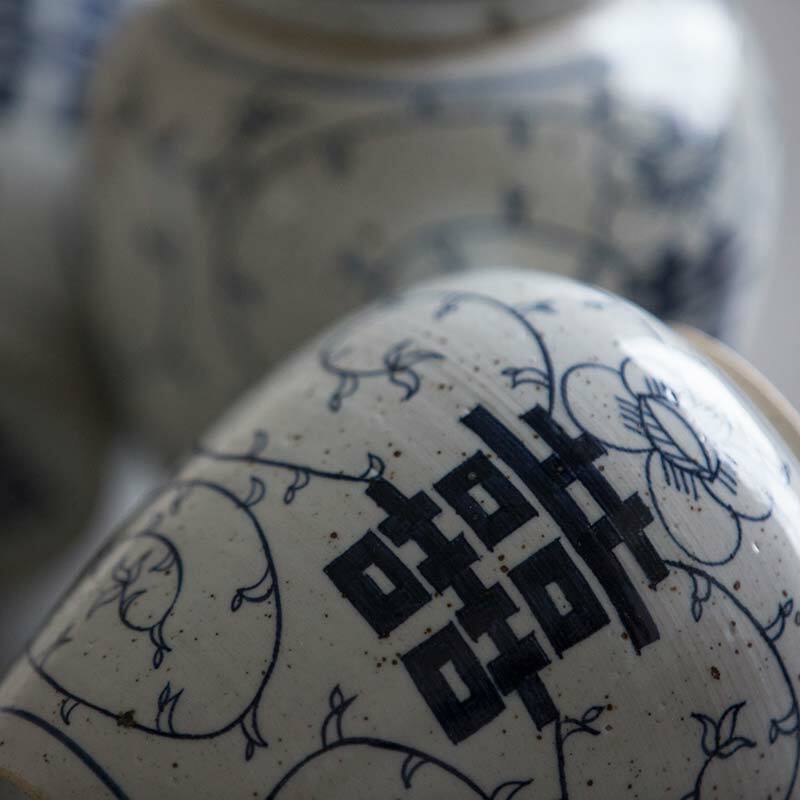 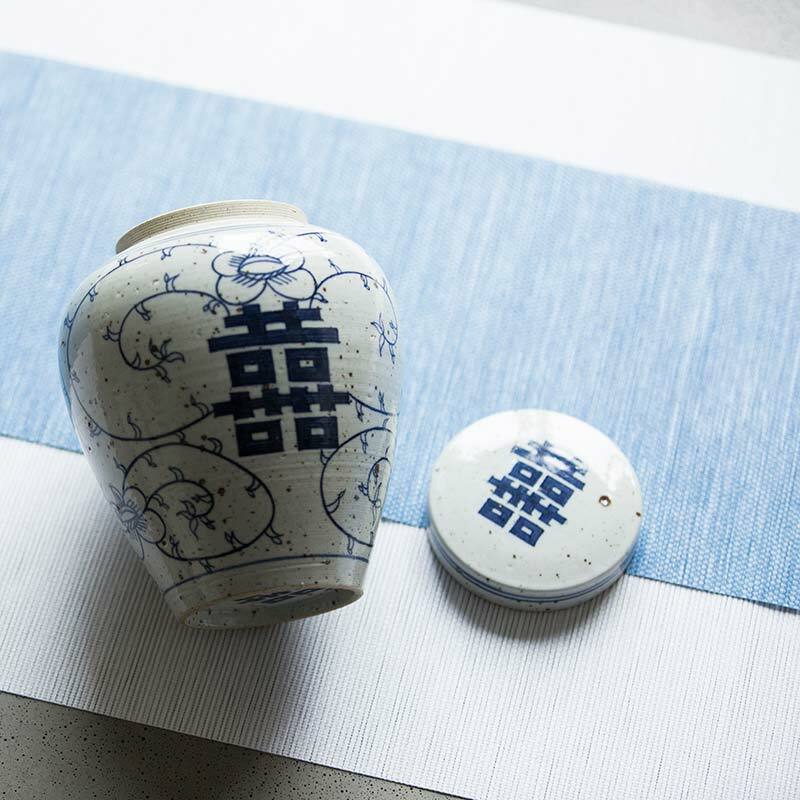 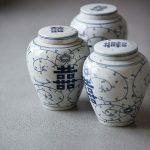 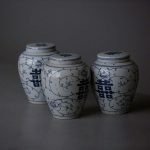 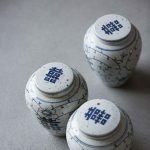 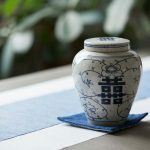 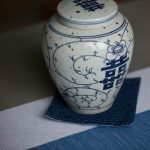 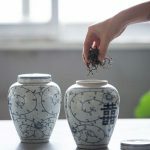 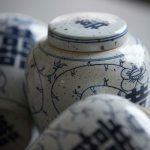 These tea jars feature a fine and detailed qinghua (blue painted) design, including vines and the “double happiness” characters (喜喜) on the side, bottom and top of the lid. 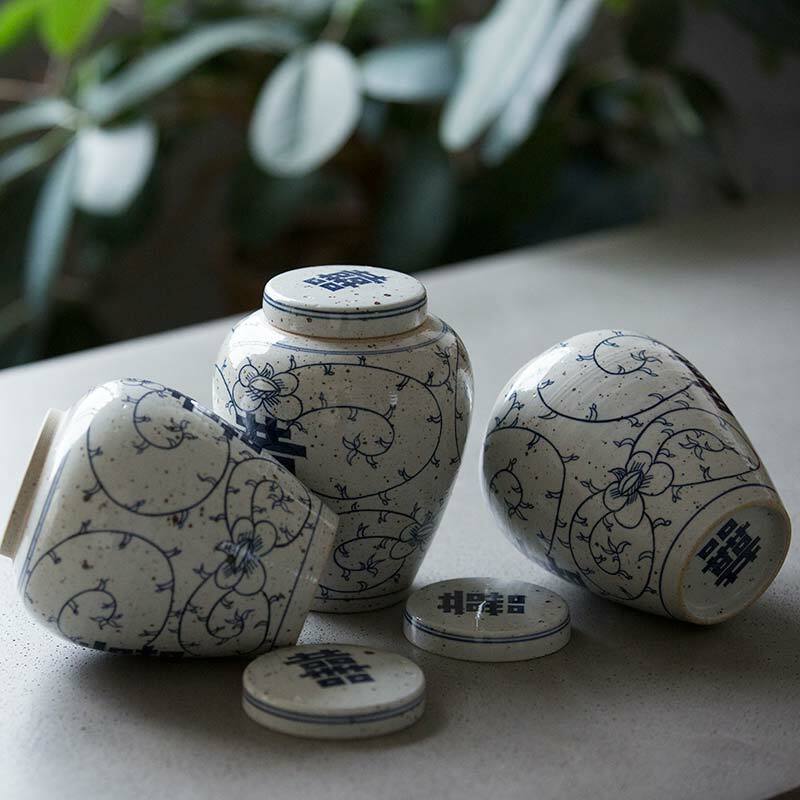 Each jar is meticulously hand painted with an original design, requiring many hours of focused attention and effort to produce each one. 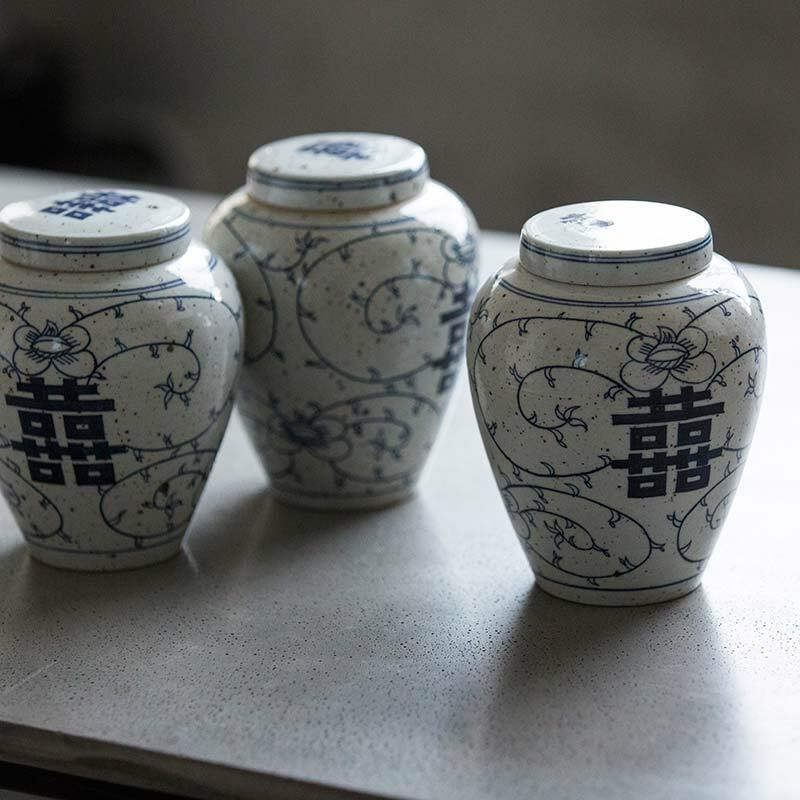 On a fast day, the artist might be able to complete a single jar… on a fast day. 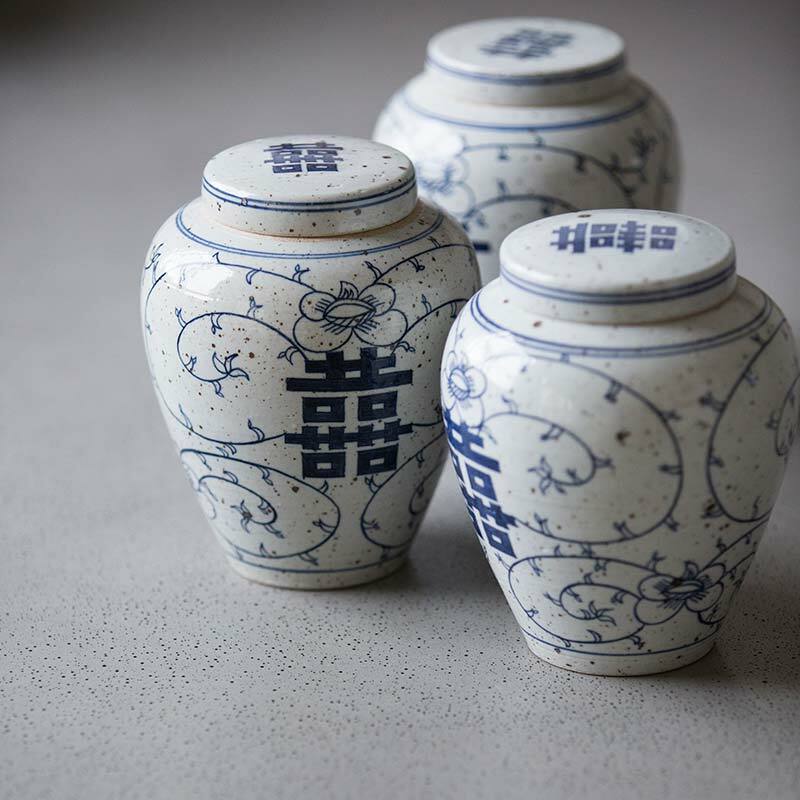 These jars are glazed both inside and out, with plenty of iron spotting on the exterior. 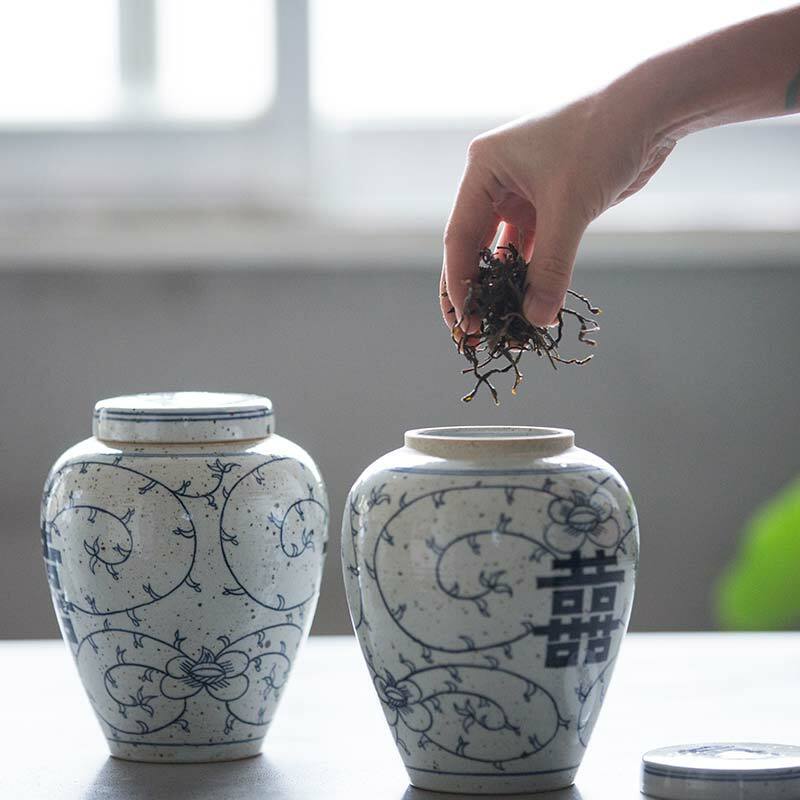 These jars hold approximately 1750ml of liquid, and additional ~500ml than previously, making them suitable for holding just 1-2 full sized (357g) puer cakes for short term storage or waking up. These pieces were handmade by an artist in Jingdezhen, who you can learn more about here.